Unwanted guests are never fun, especially when you can’t ask them to leave. Luckily, Ormond Beach pest control companies have no problem kicking them out. Whether there’s a rodent in your basement or insects in the attic, call your local Ormond Beach exterminator to take care of them — do not try to wrangle them out yourself! 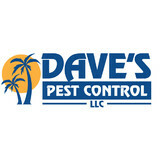 Not sure which type of home pest control service in Ormond Beach, FL can tackle your issue? Read profiles and ask about their past experiences to get a good idea. 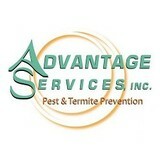 We offer annual full service treatments to control ants, roaches, silverfish, etc. No job is too big or too small for our highly trained and licensed professionals. We work with many types of rodents and bees, providing FREE estimates and inspections for all services. We make sure to get rid of any unwanted guests, as well as to prevent their future return. 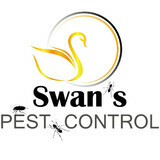 Pest Control & Termite Services : Why pay more for a big corporate name? 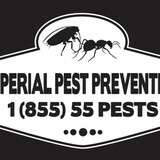 We’ve been taking care of your pest control & termites needs since 1976! Proudly serving the areas of DeLand, Deltona, Sanford, Orange City, DeBary, Daytona Beach, and more. Building a new home? Want to protect your existing home? West Pest Control has been successfully protecting homes from subterranean termites for over 37 years.In addition to termite control, we offer weed control, fertilization, and more. West Pest Control has been successfully protecting homes from subterranean termites for over 37 years. In addition to termite control, we offer weed control, fertilization, and more. Let us keep your property looking professionally maintained. Our resident expert has over 20 years experience with both Residental and Commercial Lawns. Before calling a national corporation, have one of our State Certified Operators analyze the problem and fairly price one of our quality services. If you're using another pest control company, we're both losing money!